India, Russia Plans To Hold The Mega Economic Summit Of 100 CEOs: Suresh Prabhu, Commerce and Industry Minister led the Indian delegation at the St. Petersburg International Economic Forum on the May 24 to 25 to initiate an economic summit as a follow up of the visit of the Prime Minister Narendra Modi to Sochi for an informal summit with Russian President Vladimir Putin. The two countries also explored the possibility of Joint Ventures which should participate in tenders in third countries. The Minister during his engagements invited various Ministers, Governors and CEOs to bring a delegation of the top 100 CEOs to visit India for a summit and meeting, with the government officials and Indian CEOs, where sector-specific industries would meet each other to discuss, build contacts to create sustained engagement. The Minister meets five Russian Ministers and several top Business leaders representing Railways, Communications & Media, Fertilizers and Startups. He held meetings with Deputy Prime Minister Yury Trutnev, Minister of Transport Yevgeny Deitrich, Minister for Economic Development Maxim Oreshkin, Minister for the Development of the Far East Alexander Kozlov, and Minister of Industry and Trade Denis Manturov. Furthering the goal of increased cooperation between the regions of the Russian Federation, the Minister also had meetings with the 4 Governors of Stavropol, Yaroslavl, Udmurtia and Ingushetia. 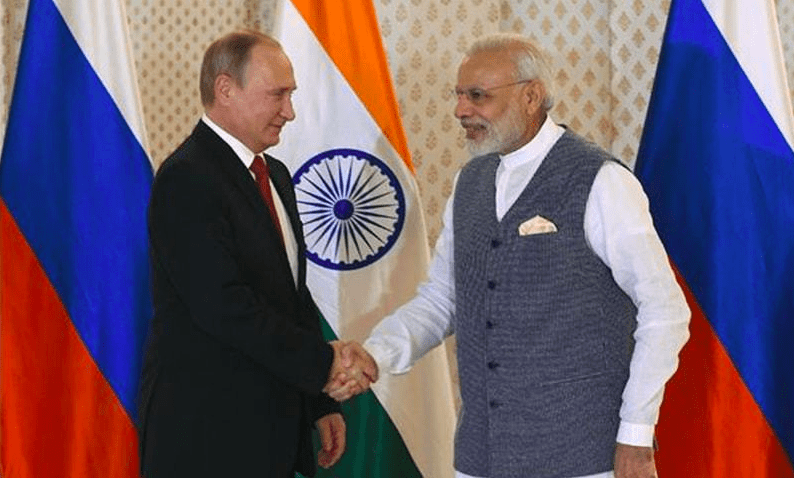 During the various meetings, both sides appreciate and noting the fact that India-Russia trade has increased considerably, but was still less than the potential. The thrust of the conversations was creating and executing a plan for increased India Russian trade and economic co-operation. Towards this end logistics, infrastructure, knowledge-based economies, diamonds and gold are highlights as essential focus areas. In the infrastructure sector, the status of the Joint study with Russian Railways on the high-speed Railway line between Nagpur and Secunderabad was discussing. The Indian Minister is also highlighting the need to set up Joint Ventures which should participate in tenders in third countries. Knowledge-based sectors like pharmaceuticals, innovative industries, digital economies were discussing as target areas of Cooperation. With the Russian Deputy Prime Minister, the Indian Minister highlighted the need for co-operation and creating a win-win plan in areas of gold, diamond, timber and other natural resources. The visit also discussed the creation of mechanisms to find complementarities and remove barriers between the economies of the two countries. The Commerce and Industry Minister of India and the Minister of Economic Development discussed the articulation of the Joint Action Plan on Increased India Russia Economic Co-operation and to submit the findings of the report before the Annual Summit between the Prime Minister of India and the Russian President later this year. The establishment of a strategic economic dialogue between the NITI Ayog Indian side and the Ministry of Economic Development Russian side where experts from both sides would meet and discuss economic issues, which will have its first meeting later this year was considering. Expediting the EU – India FTA negotiations was also underlined. The Indian Commerce and Industry Minister and the Russian Minister of Transport agreed that operationalising the International North South Transport Corridor will propel trade between the two countries to new heights by providing a faster more viable trade route, and therefore should be a priority for both. So, these are the points to describe on India, Russia plans to hold the mega economic Summit of 100 CEOs.